John is a Nigerian man who travelled to Libya with his wife. He began his journey in late 2016. He spent six months in Sabratha, a coastal city in Libya and one of the major embarkation points for boats carrying migrants to the Mediterranean. He lived in a camp with his wife on the outskirts of the city. It was quiet there, with only a few residential houses around. During this time, he struggled to raise enough money to leave and find somewhere more comfortable to live. John would go out every day to look for a way to earn money to escape. Sometimes he would work but employers would refuse to pay him, chasing him with guns if he dared to argue with them. John explained that money is not the only thing that will get a migrant further; they need to be both mentally and physically strong, ready for what will come. They [the smugglers] don’t tell you where you are going. They put you in the car. You go. If you are not strong, you can’t even get yourself into the car. 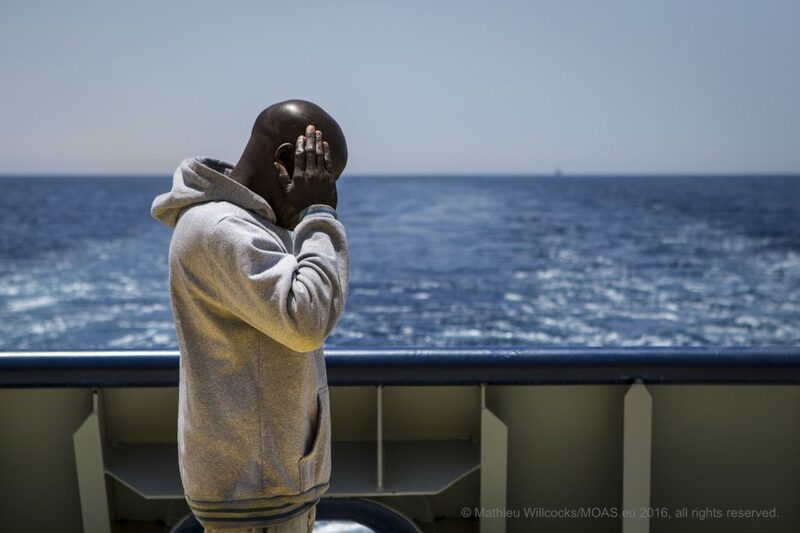 Man praying © Mathieu Willcocks/MOAS.eu 2016, all rights reserved.